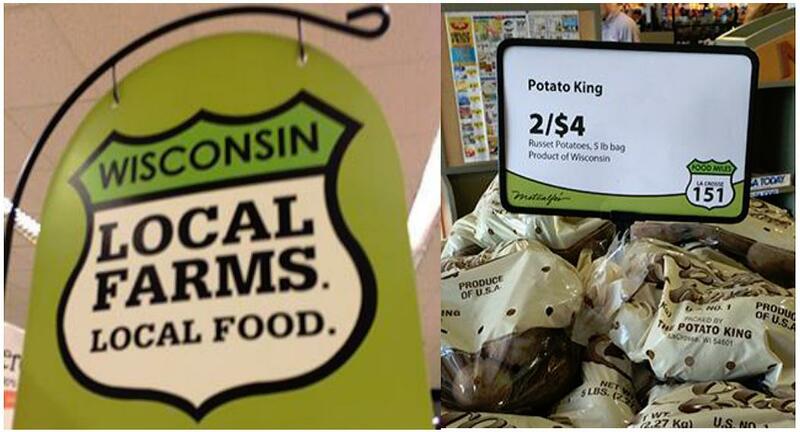 Local foods: What does this mean to you? Local foods, what does that actually mean? There are many definitions, but generally people define it based on their personal beliefs and some rough, geographical information. Some think local foods can only come from within 100 miles of one’s home. Many others define local foods as those grown and sold within their own states, regions or anywhere within the United States. The USDA defines local as within 400 miles; by this definition, “locavores” would buy and consume food only grown within our state. In general, most of us define local as anything grown within our great state of Wisconsin or at least within the boundaries of the United States. But underlying that is the belief that it’s just healthy food that adds value to our local economy—this is a very reasonable definition. Whatever your definition, the actual details always come back to: what does it matter to me and my family? Is this sustainable for my long-term food security, my health, the safety of food and for the economic sustainability of my community? So, now let’s look at the term “local” as a realistic vision for the long-term health and benefits to our society. Agricultural specialization has resulted in many ecological, economic and societal advancements over time. The “supply more for less inputs” is very successful within these specialized industries, and this has resulted in a sustainable, large-scale agricultural system. With today’s industrialization, agricultural is a multi-faceted industry with wide ranging distribution systems and complex interactions among the supply chain. Many times, you may be buying a locally produced product, but you would not be aware of it simply because it is not stated clearly on the packaging. But if you knew it was local, would you buy it over another non-local product? Would you pay more? 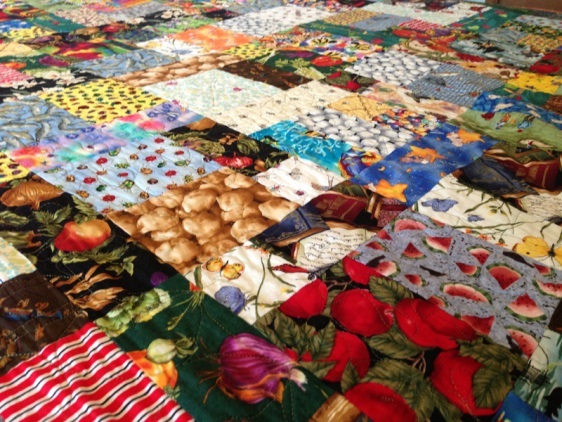 Do you have any idea of the community value local food production brings to rural America? Do you know that these locally produced agricultural products have vast impacts and great influence on our local economies? For a specific example, let’s look at the value that the Central Wisconsin vegetable system has brought to many local communities in our state. A seven county region in Central Wisconsin known as the Central Sands region is one of the most abundant, healthy, and productive regions for vegetables in the nation. You may know the value this region brings to ensuring a safe and effective food supply for all of us, but do you know the economic value this brings to each county and their rural communities? These counties (Portage, Waushara, Adams, Marquette, Wood, Green Lake and Waupaca) have thriving rural economies due to the impacts of agriculture in the region. Let’s look at each county individually to see specifics on how many jobs, tax revenue, sales and/or percentages of economic value are involved in agricultural in the regions*. o Agriculture provides over 5500 jobs in the county – 13% of total county workforce. o Over $32 million are paid in taxes due to agricultural activity. o Vegetable production alone provides over $103 million dollars of sales. o Agriculture accounts for 19% of jobs in the county. o Agriculture and its related businesses provide over $230 million dollars into the regions (more than 22% of total counties business sales). o Provide $7 million in taxes. o Direct marketing sales add $67,000 to economy. o Farmers account for 28% of the county’s land. o Agriculture provides over 1900 jobs to the region. o Processing companies account for $65.9 million of income in the county. o Pays almost $22 million in taxes. o Business to business activity in the county generates over $54 million in sales. o Agriculture provides 15% of the county’s jobs. o Agriculture in the county accounts for $88 million (or 16%) of county incomes. o Vegetable production accounts for over $9 million in sales. o Around 14% of county income comes from agriculture. So, no matter how you define local, the important thing to remember is that local Wisconsin agriculture produces high-quality products while providing a great value to rural communities. Your local buying decisions help support those growers and create economic benefits to these areas. However you define local, it must be comforting to know that local farmers are working hard to provide you healthy, safe food, while also providing valuable resources, taxes and jobs to our local communities. When the cost of produce goes up at our local grocery store, it directly impacts our weekly finances, and we all want to know who is to blame. Is it the farmer? The grocer? The weather? It’s easier with other products, for example gas for our cars. We can blame the oil cartels or some faraway pipeline problem. Either way, we usually end having to find a way to make it work. We start to look for the best value for our dollar—start biking to work, clipping coupons, evaluating our food choices. At the end of the day, we want to make sure we are not the victims of greed. We certainly don’t want to make someone rich while they are making us suffer! Do the big oil companies really need more profit? When the glaciers retreated from central Wisconsin over 10,000 years ago, they left behind a broad expanse of sand and gravel outwash plains to create the area that we now know as the Central Sands. In the intervening years, this mostly featureless area of lakebed and sand has evolved both naturally and with our help into a cornucopia of lakes, streams, wetlands, forests and irrigated agricultural fields. In relatively recent times (the kind that can be measured in half centuries), the changes have been little short of spectacular. 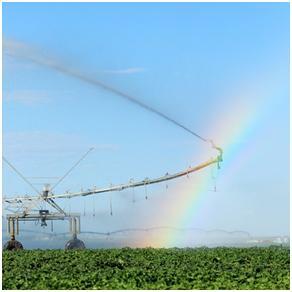 Specialty crop agriculture has expanded with improvements in irrigation and production technologies and become one of the premier vegetable production centers in the US. As our ability to grow high quality vegetables expanded, the food processing industry grew with it; the potato, green bean, sweet corn and pea canning and freezing plants in and surrounding the Sands have become the envy of the nation. Both the proximity of the Wisconsin River and the availability of groundwater— often only feet from the land surface—have allowed the paper industry to grow pines and prosper. The dairy industry, for which the state is famous, represents the next step as the Sands provides an ideal opportunity to integrate new cropping systems to bolster the potato and vegetable crops we already grow so successfully. The agricultural and industrial growth has brought prosperity, jobs (an estimated 35,000 from agriculture alone) and new opportunities for continued economic development that has enabled vibrant rural communities to emerge and grow—all this in an area that was economically depressed a scant 60 years ago. Let’s not forget, however, that everything we now cherish in the Sands, from its lakes and streams that we fish and enjoy, to the prosperity and employment that its agriculture brings, is ultimately connected to and dependent on the groundwater aquifer that nature provided all those thousands of years ago and maintains to this day with generous rainfall. We must maintain a balance between the water that we all need and use and the water that nature returns to ensure that the Sands continue to evolve. Evolution is a continuous process, and we are often unaware that change is actually happening. The climate also fluctuates through time and impacts that change. We currently benefit from a warming trend that has extended our growing season by two weeks and boosted crop yield. The downside is that it has also brought dry spells like the drought of 2011-12; we need to use more water than nature provides during these periods, which can limit the aquifer from recharging. Climate fluctuation also brought wet periods, as in the spring 2013, that flood basements and delay crops but also begins the process of restoring the aquifer’s balance. These natural processes have been fluctuating through the history of the Sands. The pictures with this article show us that these fluctuations are not new. Pleasant Lake in the southeastern corner of Waushara County has been identified in recent citizen forums as an area of the highest priority because irrigated agriculture has grown, and new dairy expansion has been proposed. The lake water is down and solutions such as limiting irrigation are being actively discussed. 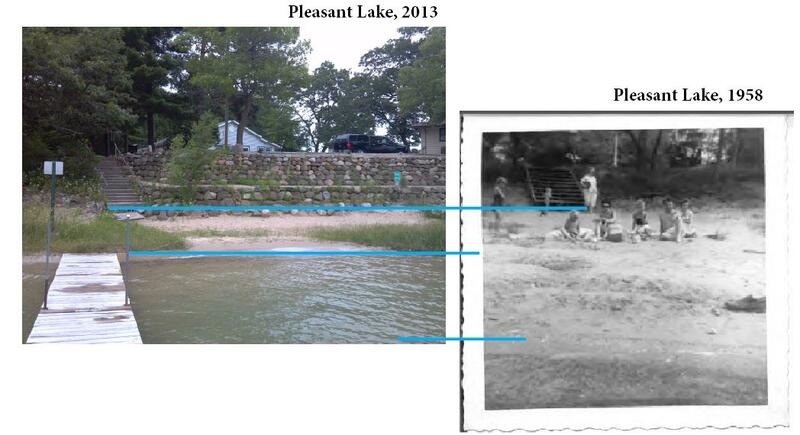 But the photos of Pleasant Lake in 1958 compared to the same spot in 2013 show that lake levels have also been lower in the past. This does not mean that we should be any less concerned about the lake levels today, but perhaps we should broaden our thinking. The seemingly obvious link between irrigation and lake levels may be more complicated than it seems—there was essentially no irrigation in 1958 to account for the low lake levels at that time. We all need a better understanding of the system and how it functions before we can design long-term solutions that will work. We are doing this by jointly supporting university research. The farmers need to do all they can to use water more effectively. They are doing this by irrigating more efficiently and changing the crop landscape to one that needs less water. The food processors need to return the water they use to the aquifer. They are doing this by irrigating wash water onto pastures for filtered recharge. Rural communities need to design systems that do not remove water from the system. They are doing this by creating new recharge areas, retention ponds and drainage designs to divert water back to the aquifer to feed the lakes and streams. Finally all the citizens of the Sands, whether they live on lakes or in towns, need to be aware that the water they use to live and to recreate comes from the same source. Everything they do that is connected to water can collectively have an impact. Only by working together can we be sure that the balance of water use and water recharge is maintained as the Sands evolves into the future.